VirtueMart 3 admin template VMADMINLAB will change the way that you will work with the VirtueMart 3 admin. It is fully responsive admin template. Bored with default VirtueMart 3 administrator interface? Then VMADMINLAB could be your choice. 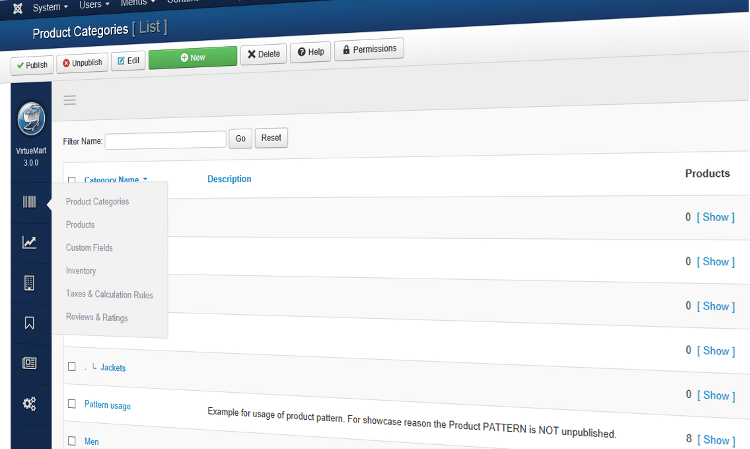 VirtueMart 3 admin template VMADMINLAB will change the way that you will work with the VirtueMart 3 admin. It is fully responsive admin template built with Bootstrap 3+ Framework, HTML5 / CSS3 and better optimized for more speed, we used 1 image (VirtueMart logo) in this admin template. For the best experience, we recommend using ISIS Joomla Administrator Template. 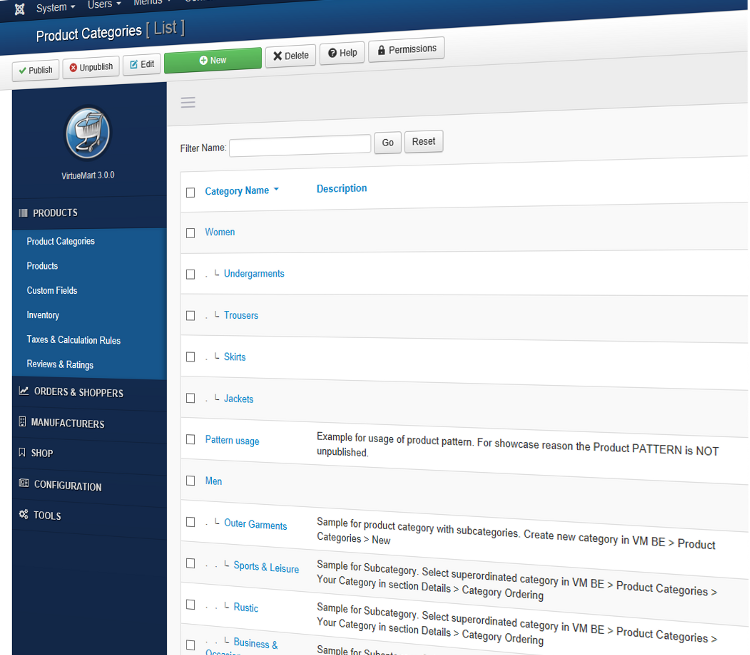 This template is compatible with Joomla 3.x / VirtueMart 3.0.0 and higher.